Состав как на фото Red rose - 25 шт. Satin ribbon - 2 шт. 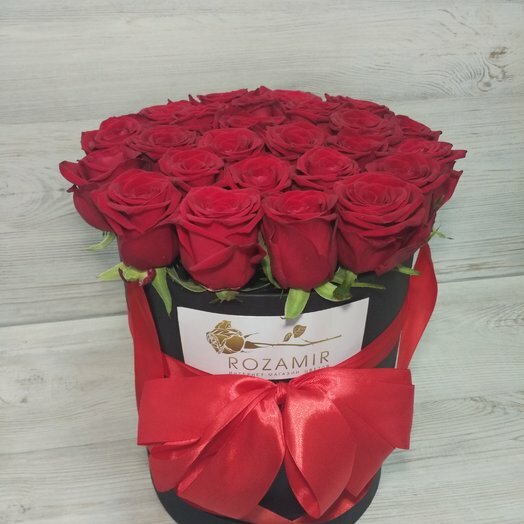 Expressive a striking combination of red roses and a stylish black box will not leave anyone indifferent.